Hey guys, many of you know that we took a weekend trip recently, to Kausani, which is a beautiful hill station in Uttarakhand. And, if you have followed my stories on Instagram and Facebook, you have a fair idea of how much we enjoyed and what all we did during our weekend getaway. And if not, you can still check out those stories on my Instagram in Highlights – Travel. 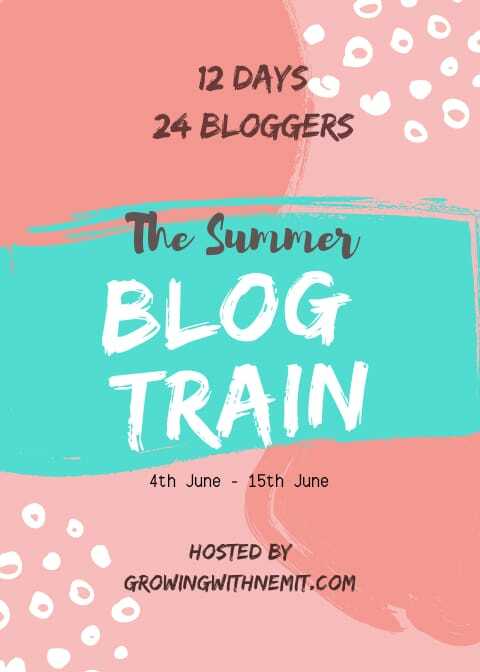 This post is part of the blog train where 24 awe-inspiring bloggers are going to share their story of ‘Summer’. Hop on the train to read some amazing blogs. 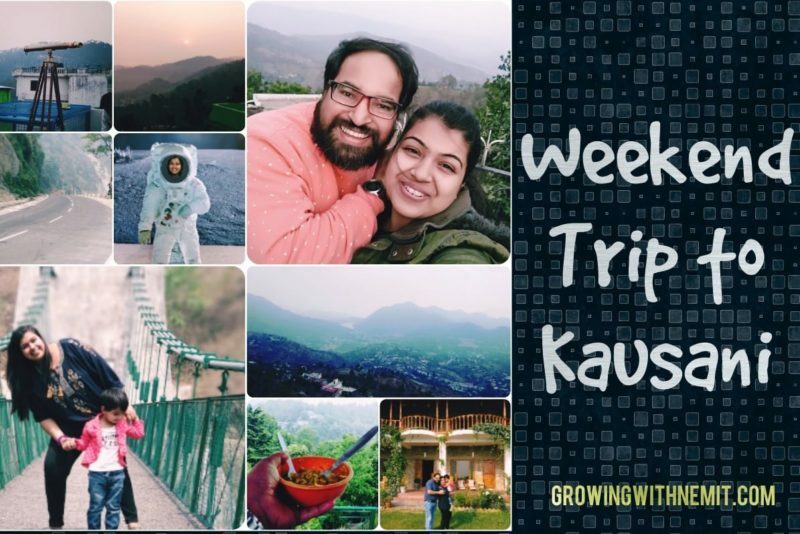 Today is Day 1 of the blog train and my topic is ‘Summer Weekend Trip to Kausani’. And in this post, I am going to share my first-hand experience of an unplanned weekend getaway. I hope to provide as much information as I can to help you plan your trip. This trip was a sudden plan and we finalized everything in just one day. 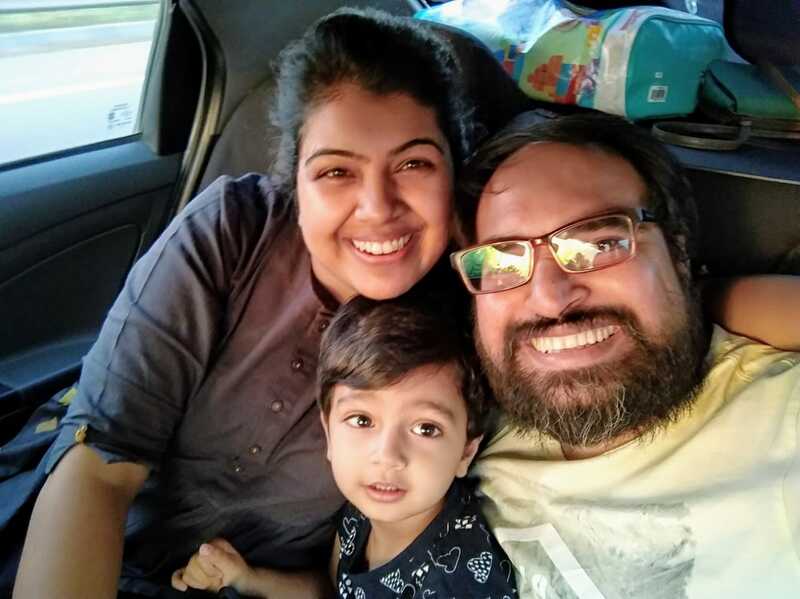 We wanted to go on a road trip in our own car to some nearby hill station like Lansdowne, Shimla or Mussoorie and spend a couple of days there. However, due to our last minute planning, we couldn’t find a satisfactory place to stay. Of course, we were going on a leisure trip and we wanted a place close to nature, away from the hustle and bustle of the city. A place where we could feel like resting in the lap of nature with no distracting noises around us. 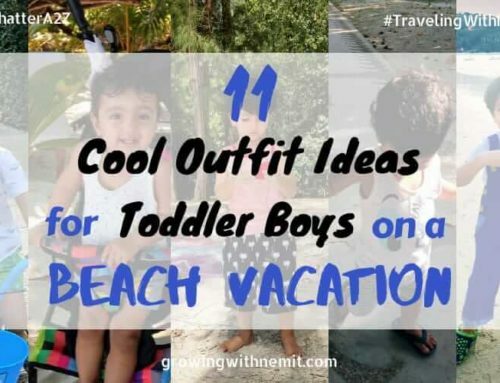 You may also want to read Road Trip & Car Safety – Things you must know when traveling with kids! We got the shock of our life when we couldn’t find a single decent hotel for our stay. Every hotel/resort we were checking were full. I feel that’s the saddest part of living in Delhi/NCR since every other person is planning a weekend trip to the nearby hills in summer. Now, we had to decide on a new place and it was then when my hubby, mentioned about this hill station, Kausani, which is also known as the ‘Switzerland of India‘. I searched on google frantically about this place and was mesmerized by its beauty. The next thing I remember was, Sumit booking a cab and a hotel for us. Ya, we had to travel by cab, since Kausani is quite far from Noida, 393 Km, and 10 hrs, to be precise. Due to lack of information, not many people know about this place. Also, it’s quite far from Delhi, hence, it’s not at all populated with tourists. And this is exactly what we wanted. You may also read – How to travel with pets! Summer months in Kausani starts from March and go on till June. And the temperature during these can range from 11 degrees to 28 degrees Celsius, which is quite pleasant. If you are visiting in June, you can also get to experience pre-monsoon showers. It’s always better to pack some light woolens if traveling to any hill station even in Summer months. You never know when the weather changes on the hillside. 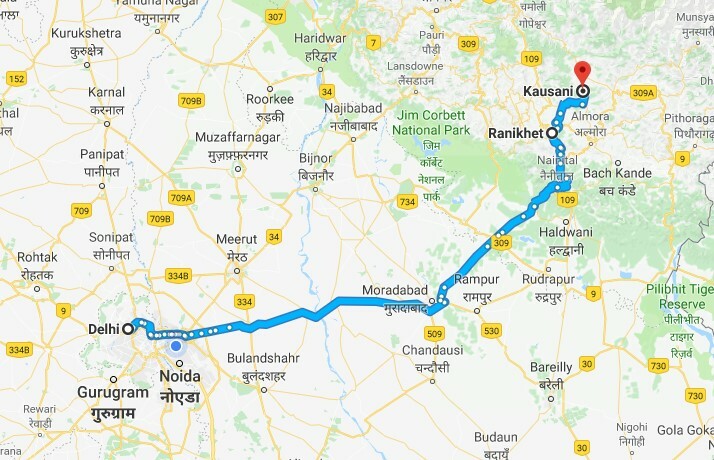 How to Reach Kausani from Delhi NCR? Car – Hire a cab or drive yourself, it can take up to 12 hours to reach there. 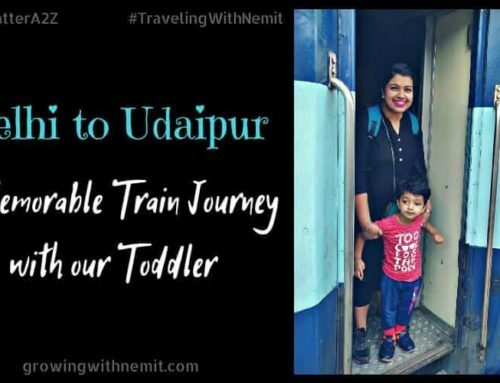 Train – The nearest train station is Kathgodam near Nainital and from there you can take a cab or bus for a further journey of 4 hours to Kausani. Air – The nearest airport to Kausani is Pantnagar. Book a flight from anywhere to Pantnagar and take a cab for your further journey. We visited Kausani in the last week of May and it took us around 12 hrs to reach our destination. We started in morning around 5 am and made 2 stops of an hour each, one for breakfast and the other one for lunch. Our 1st stop was near Jim Corbett National Park and the other one was at Ranikhet. After reaching the hotel, we spent the rest of our evening at leisure, basking in the beauty of the surroundings. I would suggest if possible start early and reach Kausani by 3-4 pm. This will give you ample time to rest and freshen up and get ready to enjoy the evening. Also, you will not feel as if you have wasted your day in just traveling. This way we covered all the other nearby famous places like Ranikhet, Almora, Bhimtal and Nanital. 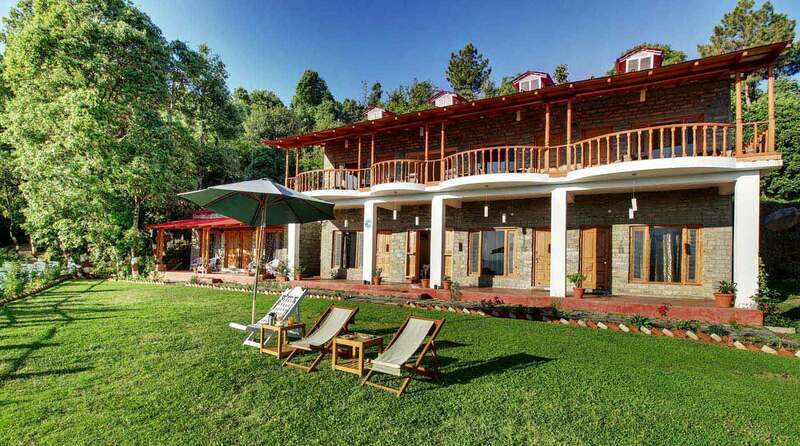 There are many beautiful hotels and resorts in and around Kausani. You can search on Google and book them directly by calling on the numbers provided. However, we like to check and compare the prices on various sites before booking. And then opt for the one which is as per our requirements and also comes under our budget. We booked a deluxe room for 2 nights at Hotel Chevron Mountain Villa, which is a beautiful property at a great location and one can have a direct view of the majestic peaks of the Himalayas from there. It not just offers the serene view of the surroundings but is also close by nature, a little far away from the marketplace. 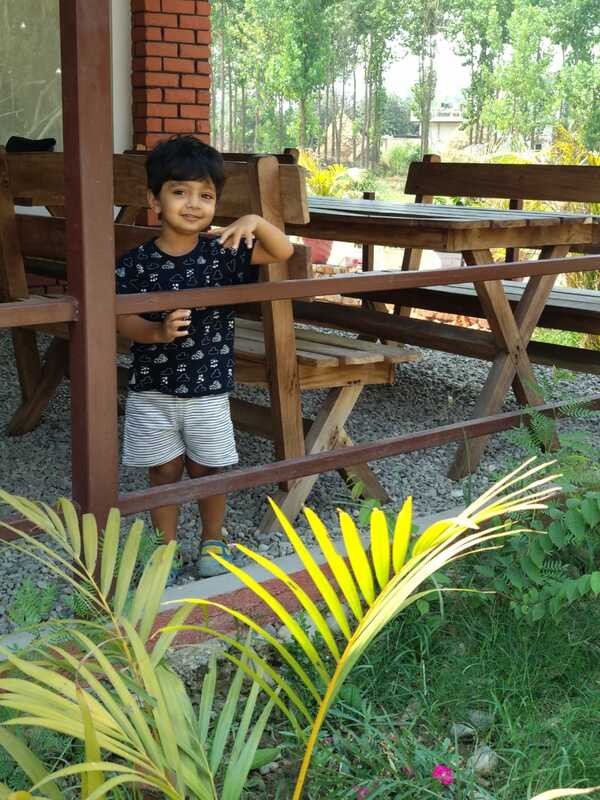 One more reason to choose this hotel was the beautiful lawn and a play area within the premises so that Nemit could enjoy freely. This is the view from our hotel room balcony. Check out the complete post on Instagram by clicking on the below picture. How we spent our first day in Kausani? We wanted to keep our stay at leisure since we had just one day to relax and enjoy. So, we decided to stay at the hotel and just laze around. When we reached the hotel at around 5 pm, we didn’t go to our room, instead, we checked out the property and took Nemit to the play area. He was so happy to finally have something of his interest, I know he was clearly bored in the cab. And, he met some people there who definitely had a good time looking at his mischievous stunts. Next day morning, we went for a nature walk, strolling a few km uphill from the hotel. The weather was pleasant and the morning view of the Himalayan peaks was breathtaking. We had a fun morning and spent an hour exploring the nearby beautiful flora and fauna. There was a small tea garden nearby and we tried to get some movie style pictures standing in the center of the garden. However, it was little difficult to try some stunts with Nemit. We managed to get a few good shots though. While on our way back, we saw a mother Langur (black face monkey) with her little baby, playing on a roadside tree. We had to wait for sometime as we were terrified to cross that path, it was completely deserted and we had no idea how that monkey would have reacted to us. Luckily, we met a local there, who helped us reach back to the hotel safe and sound. That experience was thrilling, you don’t get to see such encounters in the city, right? After returning back to the hotel, we had a scrumptious breakfast, sitting on the lawn overlooking the serene view of the peaks. 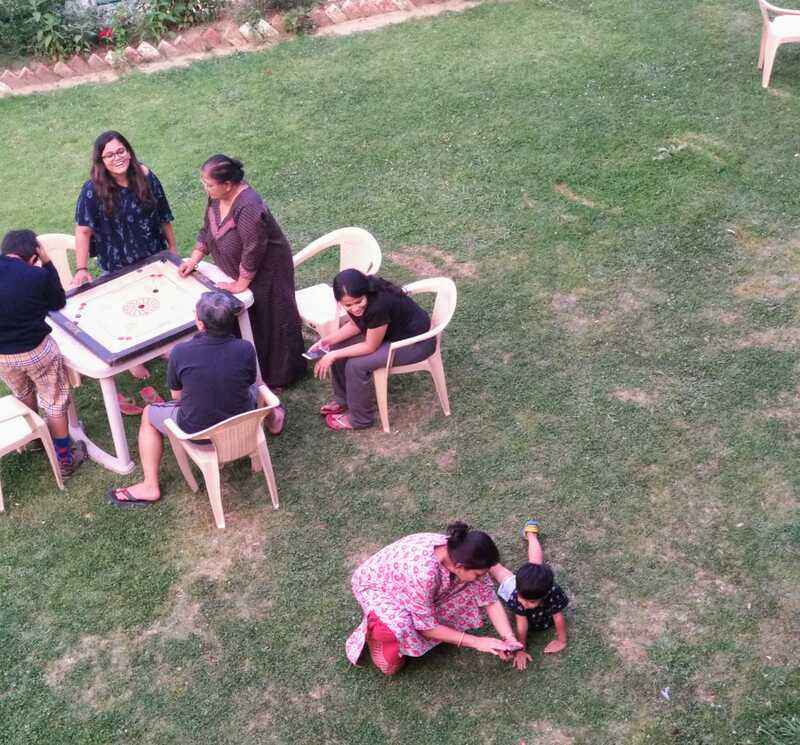 We spent rest of the day at leisure, played badminton and carom, relived our childhood with Nemit. It was so much fun just running around with Nemit and doing nothing. Check out this small video. The weather took a sudden twirl post lunch and it started drizzling. As the day progressed, the wind became chilly. We had packed our winter jackets and it was the right time to take them out. And then we decided to go out to the market area, enjoy the weather and have some more fun. I will continue further in my next post where I will share the things we did at the main Kausani market. Stay tuned as I will also be sharing my experience of watching the planets live at the Kausani Planetarium. And our adventure in Nainital. I hope you enjoyed reading till here and have already started planning your weekend trip to Kausani. And now, it’s time to move on to the next station where Priyanka Patwari will share her take on the theme ‘Summer’ on her blog Flavors of World. Visit her blog and show some love. Lastly, do comment below and let me know how you liked this post. Don’t forget to share the post and spread the love, with your friends and family. Sharing is Caring! Till next time, take care. Woooww Neha!!! This is a perfect piece of information for anybody looking to visit Kausani!!! Very precise and on point……looking forward to visiting it soon!!! Very informative post.. would love to visit this place and I wonder how amazingly you’ve planned this last minute. Thanks for sharing your experience which will help us when we are planning a trip to Kausani!!! It was very informative ?? Woah! 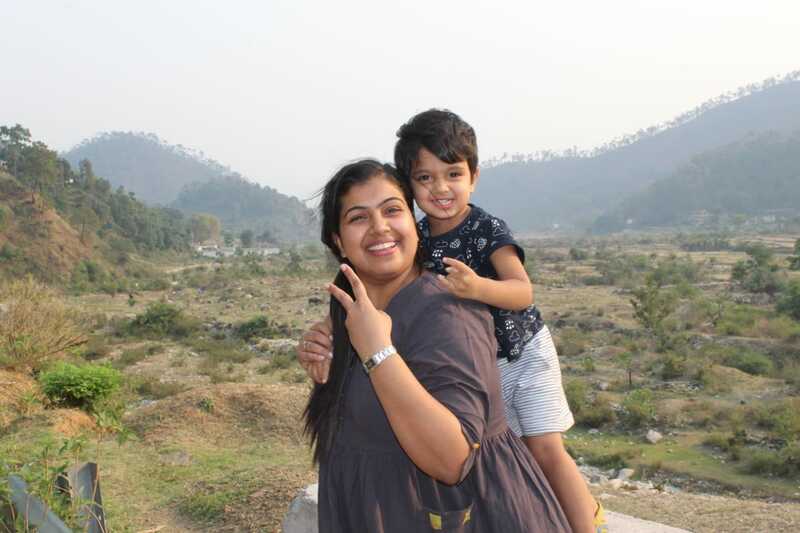 Most of the trips that I have had with my kids have been to hill stations. This one too looks very attractive and virgin. Congratulations for the blog anniversary! 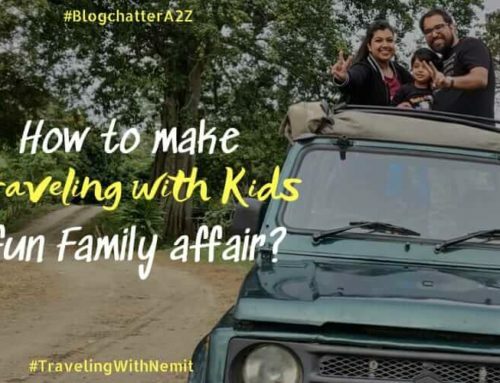 AWesome post-Neha, and super informative too, I had heard a lot about Kausani but never get a chance to visit this place. in fact, after reading your post, I am missing India more, it has been long 3 years to visit our beautiful country, will surely visit this pace, when we come back to India. thanks a lot for sharing your experience and sharing all detail information. it seems you had really great family time here. 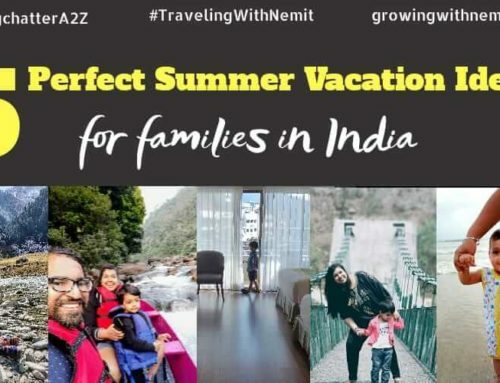 For every delhite, Uttarakhand is a best place to visit in summers… I enjoyed reading this post till end and waiting for the next part to know more about your trip. 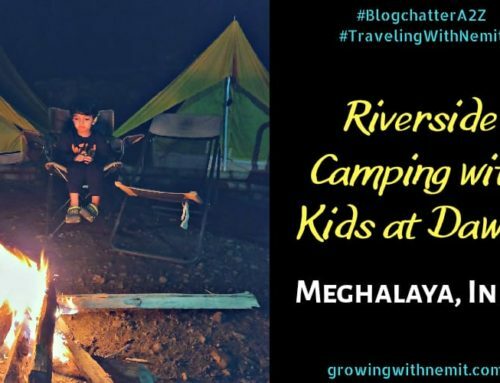 It’s really awesome place.. you had a great time there.. We are also planning to visit the place..
Great Read Neha!! Being in Delhi NCR for 5years now, I always heard travel takes to Kausani and thought that it’s a destination for youngsters only. 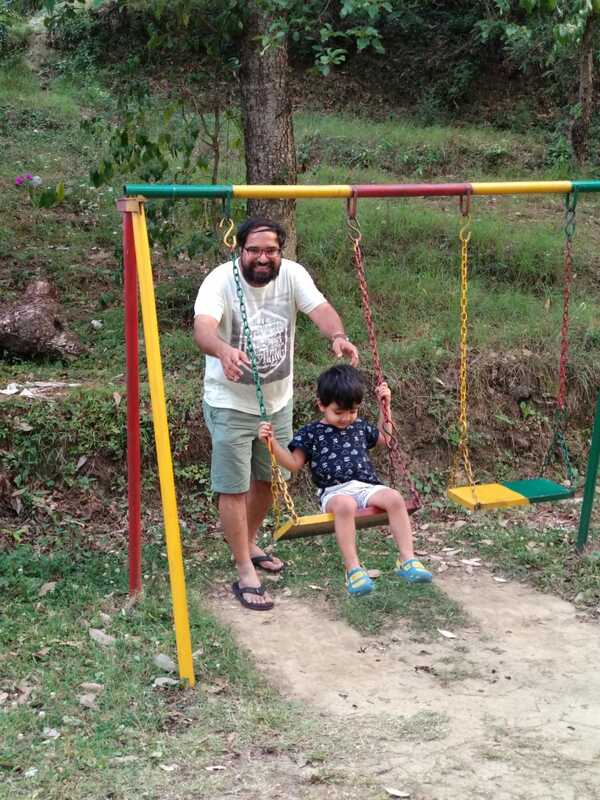 But now, I think as a parent I am all set to escape to Kausani soon! ? Wow.. this is a well explained detailed post. Thanks for sharing your amazing experience. The picture looks awesome. I enjoyed reading your write up. Such a beautiful place it is… Will definitely plan a trip to there. Thanks for the detailed post. Will bookmark this page. Never knew that you are in Noida. I work in noida and live nearby in east Delhi. I know how whole Delhi gets crazy for going to hill station at driving distance. Kasauni is also getting popular let me tell you ☺. Great you and your family had fun there. Such a beautiful place. A well-planned trip and looks like you guys have had a blast! This post will my go-to reference whenever we plan a trip here ? Loved the detailed post… Kasauni is indeed a beautiful place?